Glamping is the perfect solution if you love the idea of getting out into the great outdoors but can’t stand the creepy crawlies, sandy bed or thought of needing a shovel to go to the toilet! 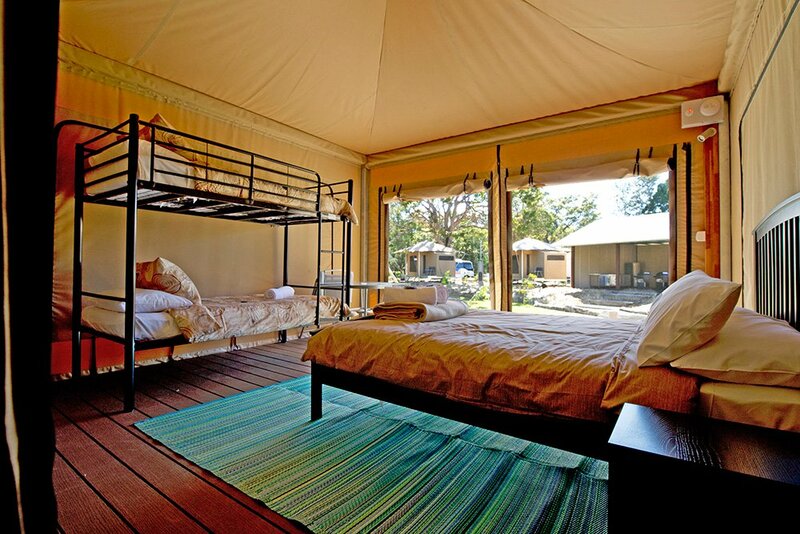 We’ve got 11 beautifully furnished tents, complete with a queen size bed, private ensuite and veranda overlooking the giant Melaleuca trees. 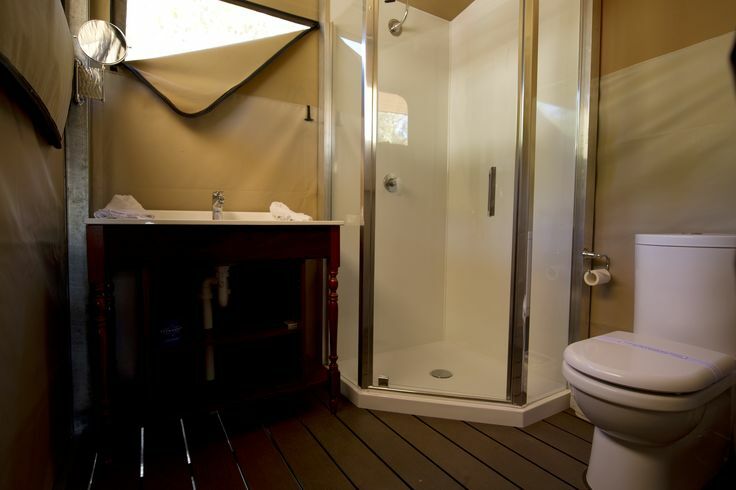 When you’re Moreton Island glamping, there’s no tent to pitch, no sleeping bag to unroll, no fire to build! 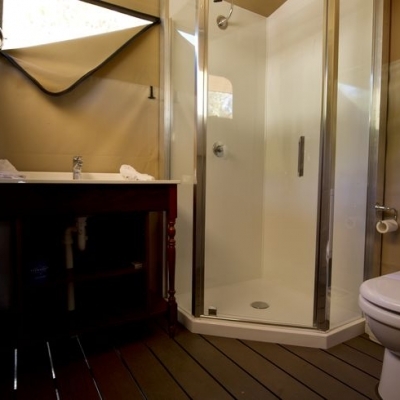 Glamping is a way to experience the great outdoors without sacrificing a little bit of luxury. Located in the small township of Bulwer just a 20 minute drive North from the Micat landing point, the beach is just a 100 metre stroll from your front door (well, tent flap) – you can grab a meal at the on-site cafe, cook on the communal barbie in the camp kitchen or just put your feet up and enjoy a glass of wine knowing you’re not facing another night of sleeping on a half inflated blow-up! Click on the link for a quick Glampsite tour! Don’t forget to check ferry availability before booking your accommodation. Don’t have a 4WD? Add an on-island transfer to your accommodation booking. Click here to view fares. Download the Glamping Guide for all the information you need to know for your trip. Download the NEW & improved Castaways food Menu! Need more info? Contact the Escape Experts on (07) 3909 3333. Do you want to view availability/pricing or simply book your glamping trip today? Click here to visit our secure online portal.